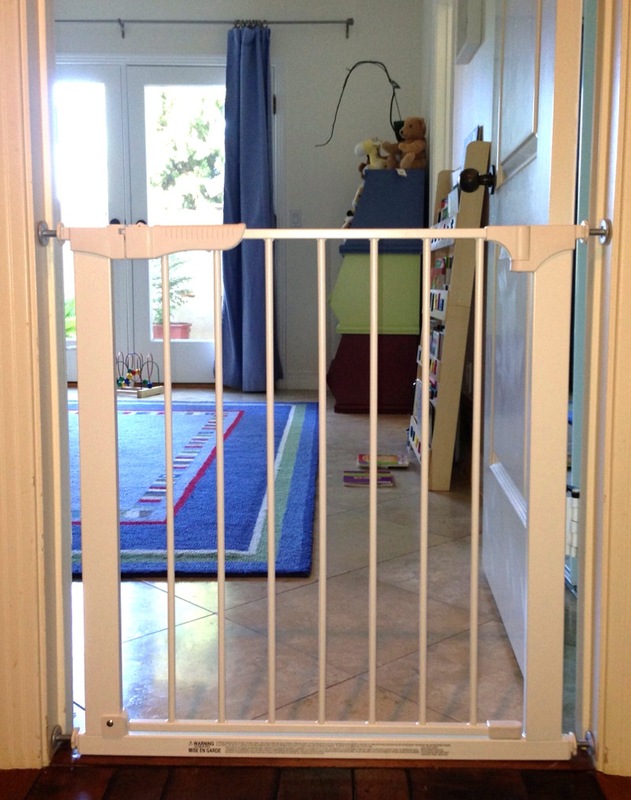 Pressure gates are useful in many applications but it is important to use QUALITY pressure gates that are stable, easy to use and have a sturdy locking mechanism. 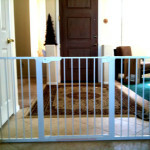 Pressure gates made by Summer Infant, DreamBaby and Munchkin are NOT pressure gates that we use or recommend. 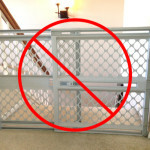 We also do not recommend any pressure gates that do not open in both directions or do not have a walk through doorway. 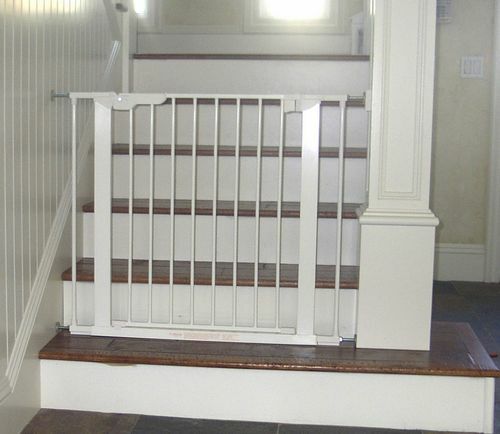 Stepping over a safety gate poses a tripping and falling hazard. 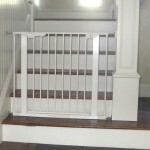 Pressure mounted gates should NEVER be used at the top of stairs. 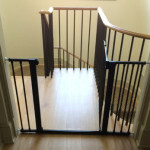 We also do not recommend pressure gates for high traffic location as they are often knocked out of alignment and then not lock and latch properly. 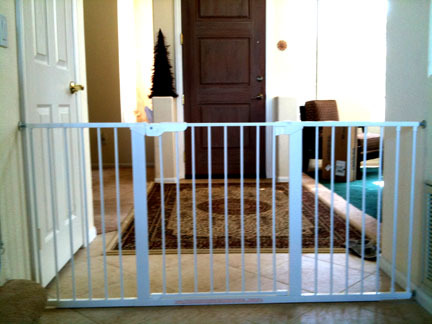 Although most people think pressure gates do less damage to their walls than a mounted gate, a properly “mounted” gate will be easier to use and do far less damage to your walls. 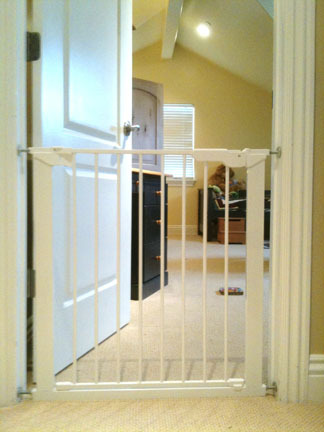 If we do install a pressure gate, Baby Safe Homes has custom solution which will make the installation more sturdy and reduce drywall damage. 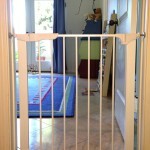 In situations where pressure gates are appropriate, we have a selection of safety gates tailored for your needs. 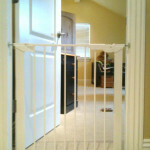 These photos are not ALL areas where pressure gates can be utilized, but some examples. 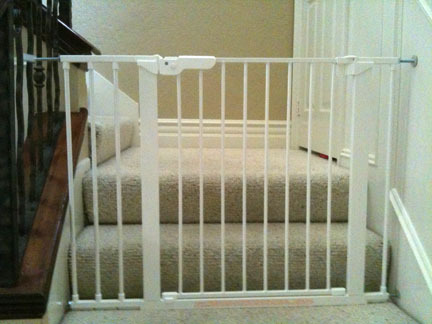 Below are some gate that are NOT used appropriately. 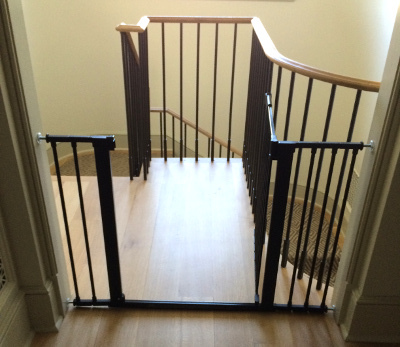 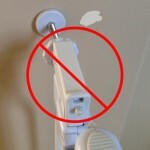 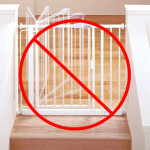 A pressure mounted gate should NEVER be used at the top of stairs regardless of what the manufacturer claims. 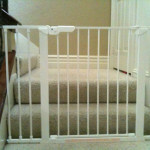 They offer a false sense of security and can cause injury to you or your child.